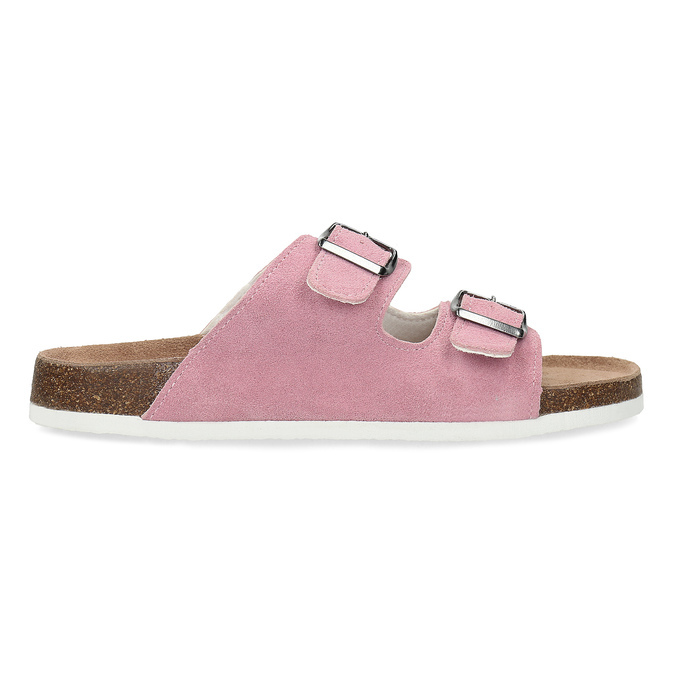 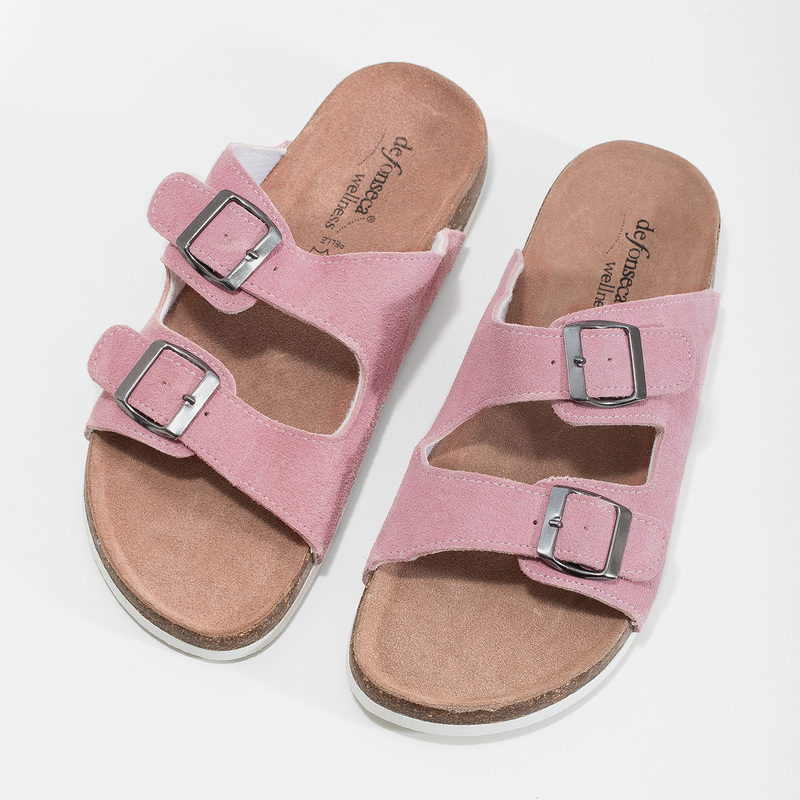 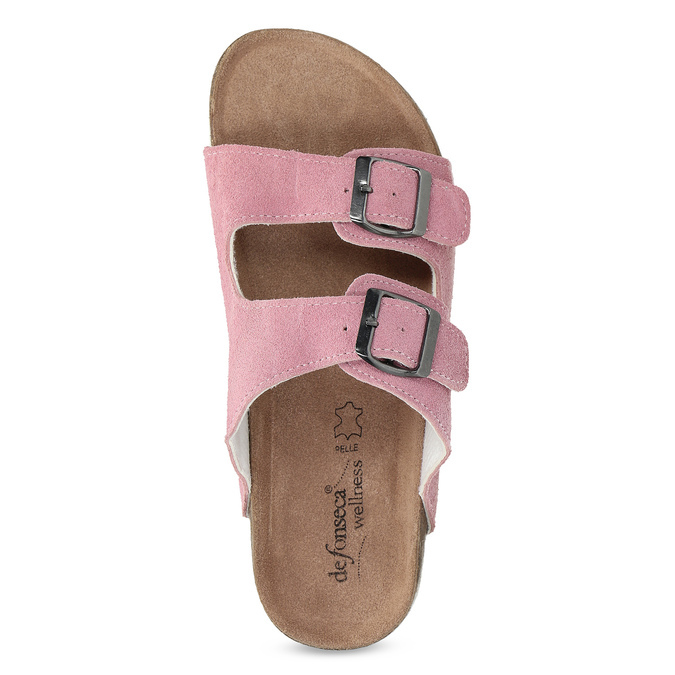 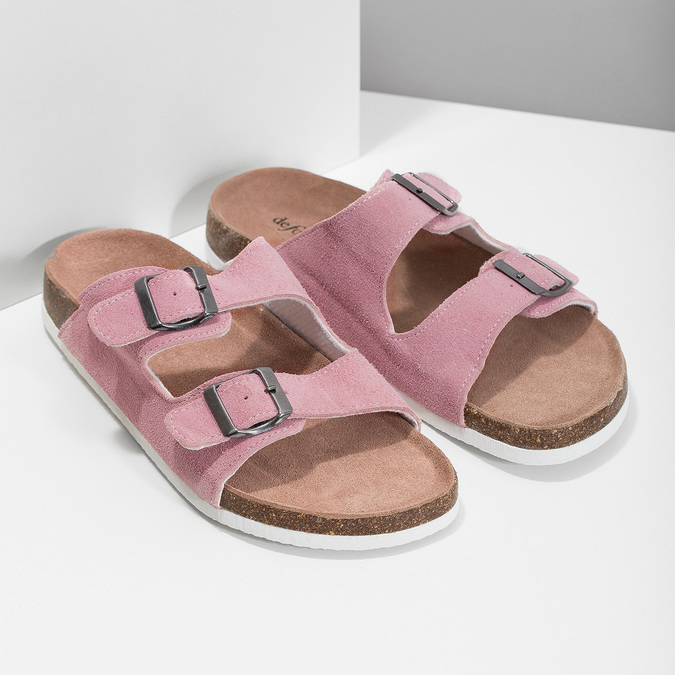 These women's sandals have a cork sole and a top quality leather upper in a soft pink hue that you'll fall in love with. 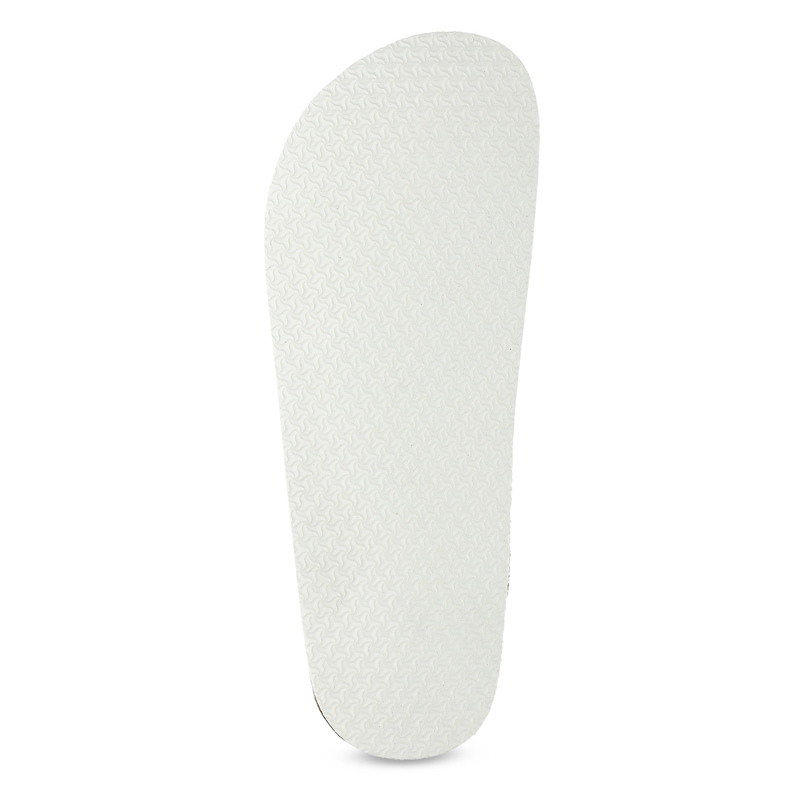 The feet will appreciate the shaped leather insole and the possibility of tightening or loosening them with buckles. 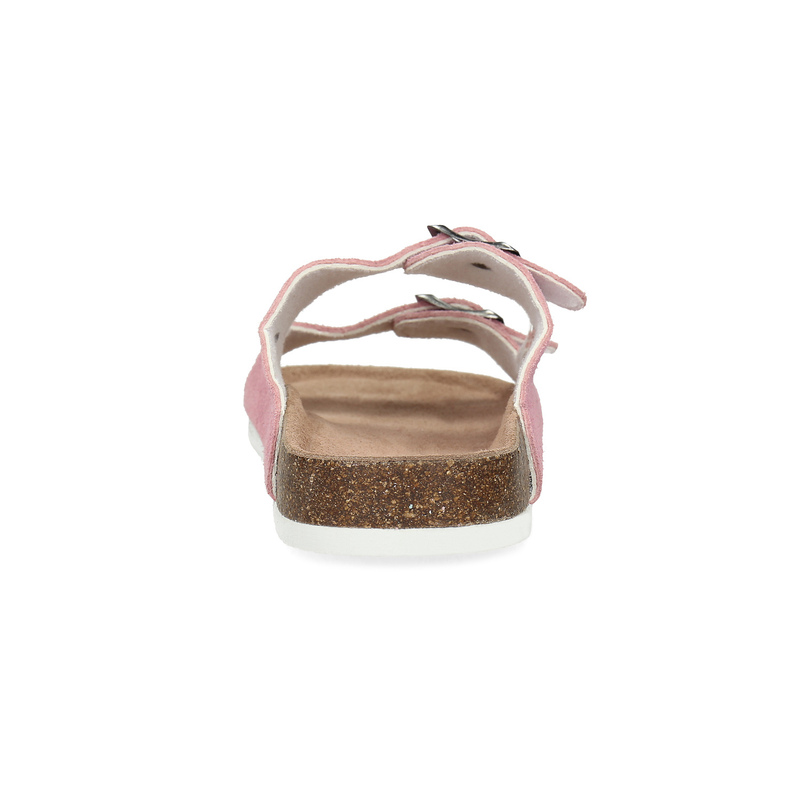 A timeless piece for home comfort and as work slippers.